If Gov. Sam Brownback’s proposal goes through, Kansas’ taxes on a pack of cigarettes would jump to the 11th highest in the nation. 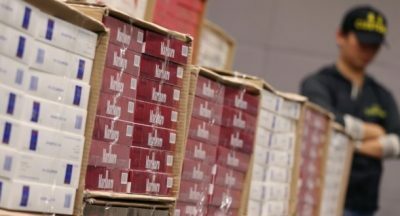 Kansas currently charges 79 cents in tax per pack of cigarettes. Brownback proposed raising that to $2.29 as part of his plan to deal with large projected deficits. State revenues are expected to fall $280 million short of expenditures in this fiscal year, and $436 million short in the next fiscal year.